A lot can happen in a month, particularly if you were working in the investment management industry recently. 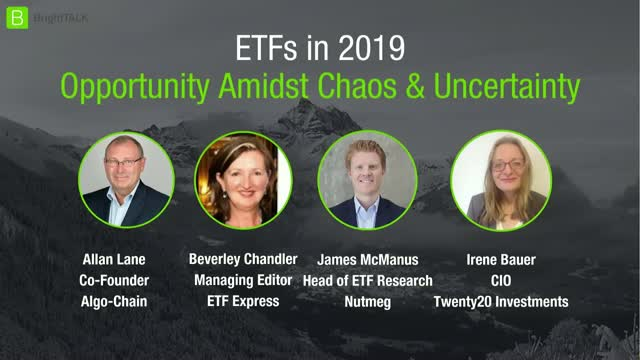 In this ETF Summit Webinar, we hear the opinion from thought leaders and industry insiders the increasing amount of investor money flooding into Fixed Income ETFs, and how the ETF Industry has been coping with the big news events that show no sign of abating - China, Brexit, and Trump. - The selection criteria to consider when selecting Bond ETFs and other Fixed Income ETFs. - Whether there is a consensus of opinion as to which categories of ETFs offer the best opportunities in the months ahead.